I don't talk all that much about new products on this blog, but I have to tell you about these delicious crackers! 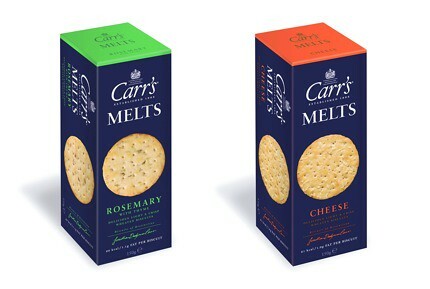 Carr's is a pretty old brand, but I always associated them with "Water Crackers" that I felt was mostly tasteless. These new little "Melts" though... they're wonderful! Rosemary & Thyme is herby and great with goat's cheese. Cheddar is perfect as it is - just as a quick nibble before dinner. Vad tråkigt! Ofta kommer det ju från Ica centralt, så knepigt att det skiljer. Aren't they great? I just recently discovered them too.